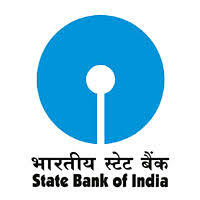 SBI Jobs Recruitment Notification 2018.State Bank of India, SBI inviting applications for the positions of Deputy Manager, Fire Officer.Interested and Eligible candidates can apply for the positions. Last Date for Submission of Application is on September 24th, 2018..
2 .Essential Experience: Minimum 5 years of Commissioned Service in Armed Forces or a Police Ocer not below the rank of ASP/Deputy SP with 05 years’ service in that rank or ocer of Asstt. Commandant with minimum 05 years’ service in Paramilitary Services. 3. Job Profile: Improving the Security arrangements at branches and oces, carryout visit to the Branches, organize periodic security drills, lectures, etc., carry out eective liaison with various Government Agencies and other administrative work related to the Security Ocer Desk. Application Fee: Application fees and Intimation Charges (Non-refundable) is `600/- (`Six Hundred only) for General and OBC candidates and `100/- (`One hundred only) for SC/ST candidates. a. Essential Experience: (i) Minimum 10 years’ experience in State/Central Government/ PSUs as Fire Ocer. (ii) The candidate should be well versed with e safety norms and State/Central Government rules and regulations in re safety and security. Specic skills required: Candidate should have intimate knowledge of Fire Prevention and Protection System such as Hydrant system, Fire Detection System, Sprinkler System, etc. He should have also knowledge of evacuation problem and Fire Audit. b. Essential Experience: (i) Candidates should have minimum 05 years’ experience as a Station Ocer or equivalent post in a City Fire Brigade or in a State Fire Service or In-Charge Fire Ocer in big industrial complex (ii) The candidate should be well versed with re safety norms and State/Central Government rules and regulations in re safety and security. Specic skills required: Candidate should have intimate knowledge of Fire Prevention and Protection System such as Hydrant system, Fire Detection System, Sprinkler System, etc. He should have also knowledge of evacuation problem and Fire Audit. 3. Job Profile: Improving the re safety arrangements at branches and oces, carryout visits to the branches, organize periodic Fire drills, lectures, etc., carryout eective liaison with various Government Agencies and other administrative work related to the Fire Ocer Desk or assigned by the controllers. vii. Form-16/IT Return as on 31.03.2018, current salary slip, etc. 1 .Appointment of selected candidate is subject to his/her being declared medically t as per the requirement of the Bank. Such appointment will also be subject to the service and conduct rules of the Bank for such post in the Bank, in force at the time of joining the Bank.Candidates are advised in their own interest to apply online well before the closing date and not to wait till the last date to avoid the possibility of disconnection / inability/failure to log on to the website on account of heavy load on internet or website jam. SBI does not assume any responsibility for the candidates not being able to submit their applications within the last date on account of aforesaid reasons or for any other reason beyond the control of SBI. 3. Outstation candidates, who may be called for interview after short-listing will be reimbursed the cost of travel fare (AC-III tier - Mail/Express only) for the shortest route in India or actual expenses whichever is lower. Local transportation will not be reimbursed. A candidate, if found ineligible for the post will not be permitted to appear for the interview and will not be reimbursed any fare. The selection will be based on shortlisting and interview. Candidates will be required to register themselves online through the link available on SBI website https://bank.sbi/careers OR https://www.sbi.co.in/careers and pay the application fee using Internet Banking/Debit Card/Credit Card, etc.Online Registration of Application & Payment of Fees: FROM 07.09.2018 TO 24.09.2018.